Anybody interested in Aikido is welcome to observe as many classes as they like, at any time. Students from other dojos are welcome to train for a $5 per class mat fee. Students must be at least 14 years old. Austin Iwama Aikido was founded by Christopher S. Field in 2010. Field Sensei is a Godan (5th degree black belt) with over 24 years of experience in Aikido. Field Sensei was trained by David Alexander, one of the top Iwama Aikido teachers in America, who spent over 10 years studying under Morihiro Saito Shihan in Iwama, Japan. 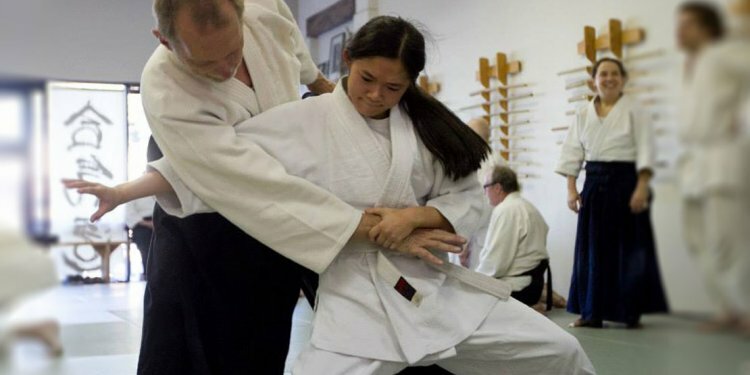 After Alexander Sensei’s retirement, Field Sensei became the Technical Director of Westlake Village Aikido where he continued to teach until moving to Austin in 2006. Field Sensei has also been fortunate enough to study with many of Aikido’s top instructors including Morihiro Saito, Hiroshi Isoyama, Shigemi Inagaki, Bill Witt, and Robert Koga. The Aikido training at Austin Iwama Aikido follows Saito Shihan's traditional Aikido style and teaching methods.